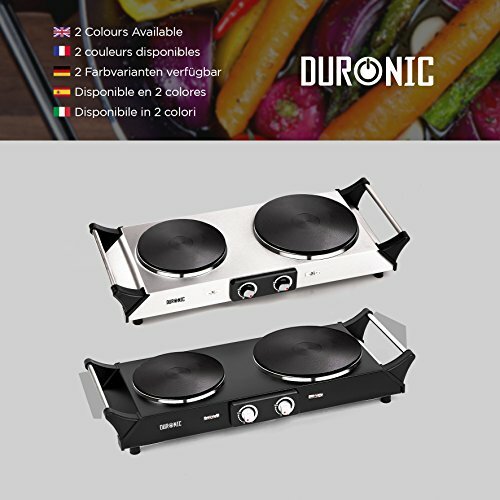 PERFECT COOKING SOLUTION: The ultimate must-have kitchen accessory, the Duronic electric hot plate (or table-top hob) is perfect for those who are limited on kitchen space or without a conventional cooker due to renonvating or decorating. Rather than just living off of microwave meals, use a hot plate so that you can continue to cook some homemade dinners. It's also a great temporary solution if your cooker breaks down as its compact and easy to store away when you've finished with it. ALTERNATIVE USES: Beyond the kitchen this hob can also be used for professional use, for instance, in a classroom or when conducting a cooking or science demonstration. Because of it's portable design it's easy to set up in different places without hassle. If you have electricity supply on a campsite, the HP2BK can also be used as an alternative to a gas cooker as it's safer to use as it has no naked flames. 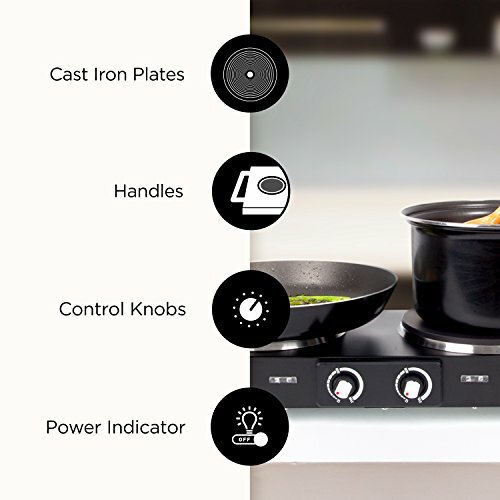 VARIABLE HEAT SETTINGS: For each hob the power and temperature is controlled by a power dial on the front; simply turn the dial to switch it on and select the heat level you need. When the hot plate has achieved the heat you require the neon power light will go out to let you know it's ready. Both rings are made of cast-iron; the larger ring (187mm) can heat up to 1500W and the smaller ring (152mm) up to 1000W. 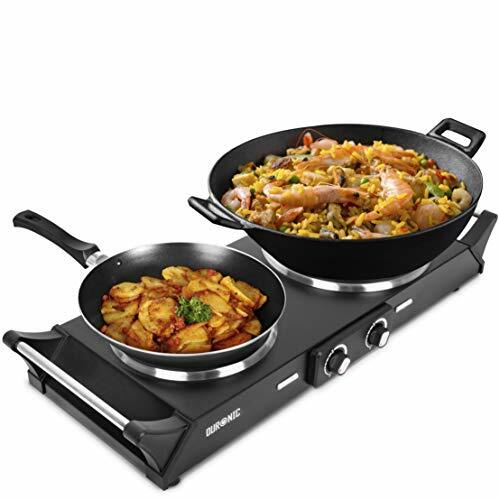 EASY TO CLEAN AND STORE: This hob is made from thermo-insulated stainless-steel which is durable, corrosion resistent and easy to clean. 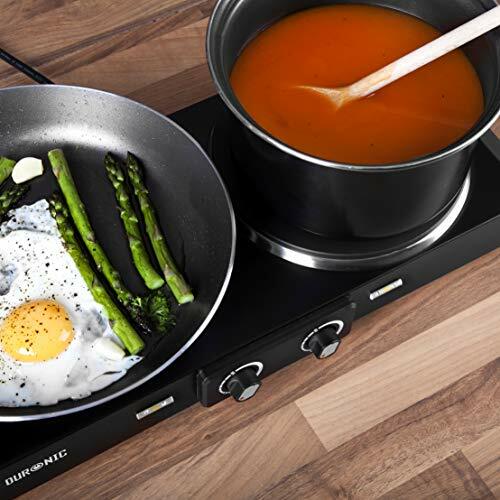 Unlike other portable hobs on the market, this hob has thermo-insulated handles which stay cool to touch at all times, which are useful for moving the hob to a different place to cool down after you've finished cooking. Additionally, the handles act as a protective barrier to prevent pans slipping. Because of it's compact size it is also convenient to store. 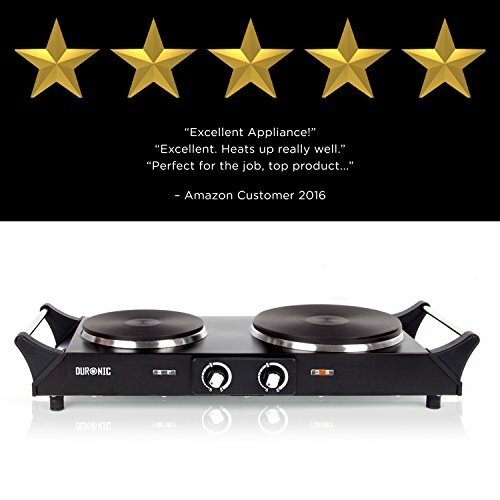 SPECIFICATIONS: Designed with the user in mind, we have made our hot plates with the finest quality materials and ensured that they have passed rigorous safety tests. This model has two cast-iron rings: 1x large ring: 18.7cm, 1x small ring: 15.2cm. It has two handles, four rubber feet for stability and two neon power light indicators. The main body is made of stainless-steel. Maximum combined power 2500W. Built-in over-heat protection. Fitted with a BS British Standard 3-pin plug. - Colour: black. Also available in stainless-steel: HP2SS. 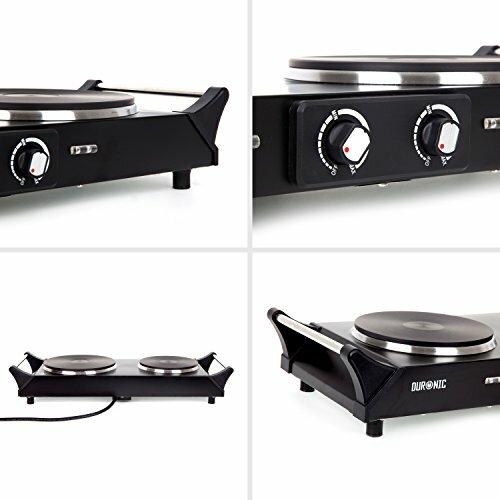 - Variable temperature dial: adjust the temperature of your cooking to suit your needs. 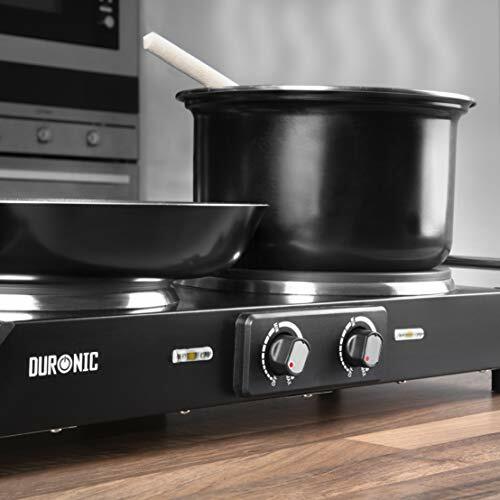 - Thermostatic function: when the hob reaches the set temperature it will stop increasing the heat and maintain an even temperature for your cooking. 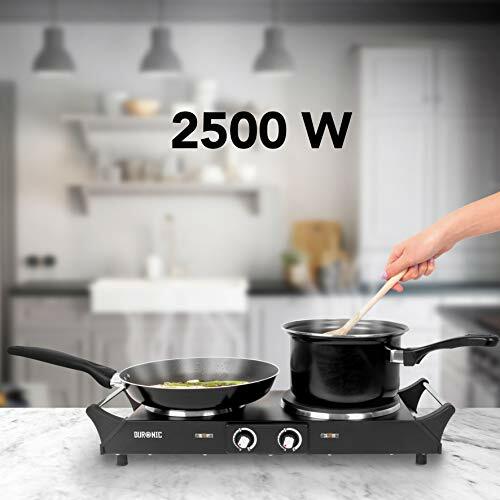 - Neon Power Light: switches on to show the hob is heating up, it will turn off when the hob has reached the set temperature. - Power: 2500W / 2.5kW. 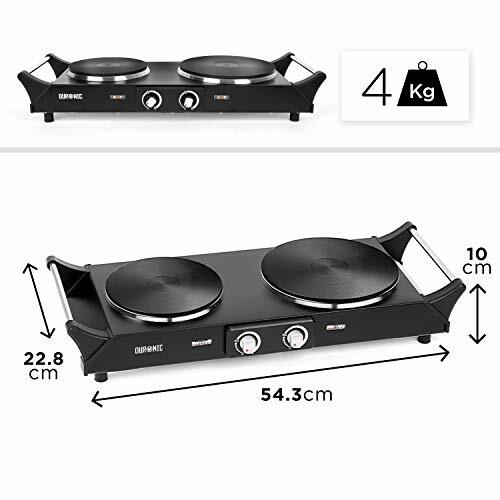 Large hob 1500W, Small hob 1000W. - On the inside: made with quality parts that meet CE regulations and work beautifully together.